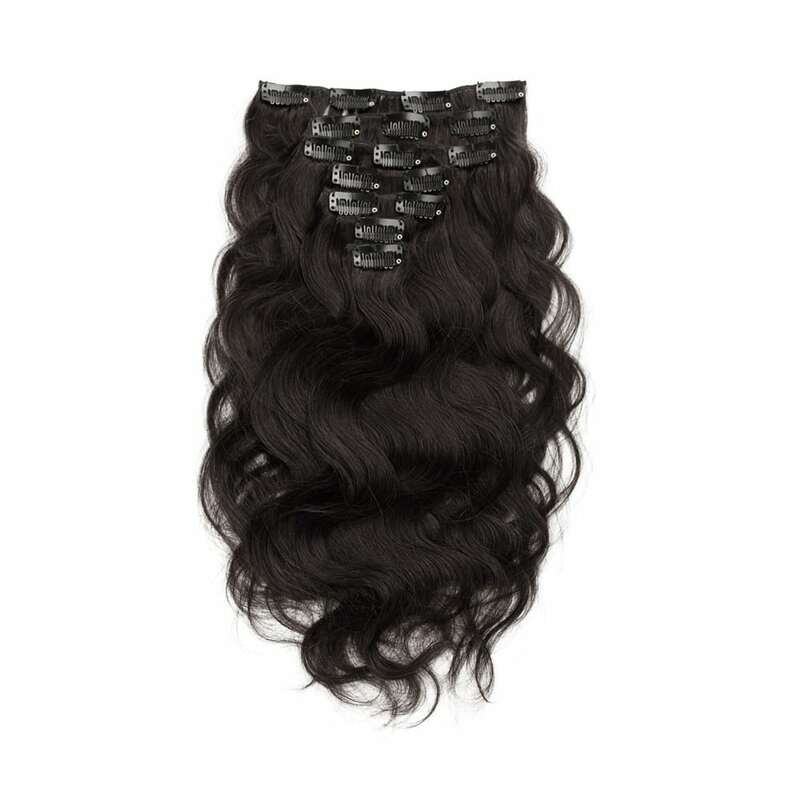 This Clip in Brazilian hair extensions is Body wave, natural black color number # 1B. The length of the hair is 55cm and weight is 70 grams per package. The hair is human and tangle free. The length of the hair is 55 cm and weight is 70 grams per package. If you have thick hair we recommend you to buy 2 packages of 70g each total 140g for a more natural result. Extensions with clip in is easy to attach, it takes less then 5 minutes to get a glamorous gorgeous hair. Clip in causes less wear on your hair than other methods of extensions. 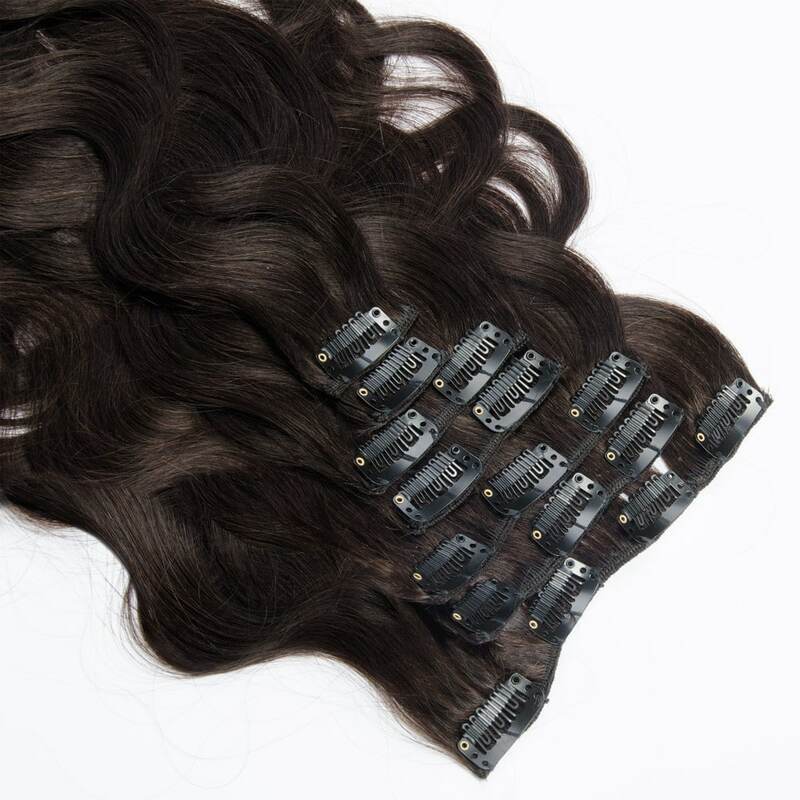 The hair extensions with clips can be attached and removed quickly and easily like any time. This is 7 parts clip in hair extensions and each part consists clips that is approximately 3.5cm large. A total of 16 clips distributed on seven parts. Clip in extensions 7 pieces. If you want your hair a long, gorgeous and thick in just minutes, then buy it. Dyeing and styling techniques such as straightening / curling buyer is responsible for.